This entry was posted on August 7, 2012, 8:26 am and is filed under Events, Poetry. You can follow any responses to this entry through RSS 2.0. You can leave a response, or trackback from your own site. 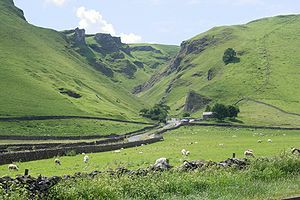 Castleton is one of my favourite places in all the land. I reckon anyone not moved by its fabulousness has no soul! I hope you’ll let us see your poem when it’s finished. Thanks for dropping by, Alison. As for the poem – I need to polish it a bit (or a lot!) first. I’m trying to make it sad not spooky, Susan. Imagine having to put the body of loved one on the back of a horse and send it over the hill into the next village for burial. It must have been heartbreaking. Yes, would have been horrendous, glad we live now and not then. I’m starting to panic, Julia, and feeling a huge amount of pressure!